Judging from the number of downloads (over 1,000 as of March 1st), comments appearing on social media, and e-mail messages that we received following the debut of the Southern Passion Lounge in Paris show on BlogTalkRadio, the first broadcast was a tremendous success! 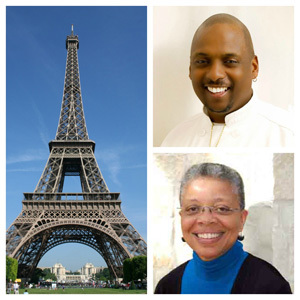 On February 21, 2013, co-hosts Chef Amadeus of Jacksonville, Florida and Entrée to Black Paris’ Monique Y. Wells set the stage for what promises to be an entertaining and informative visit to the City of Light each month. The idea for the show developed after Monique wrote blog posts about Chef Dwight Evans of Chicago for the Entrée to Black Paris blog. Chef Evans contacted Chef Amadeus in Jacksonville, Florida and introduced him to Monique. Amadeus then presented the idea of a co-hosted radio show with her. 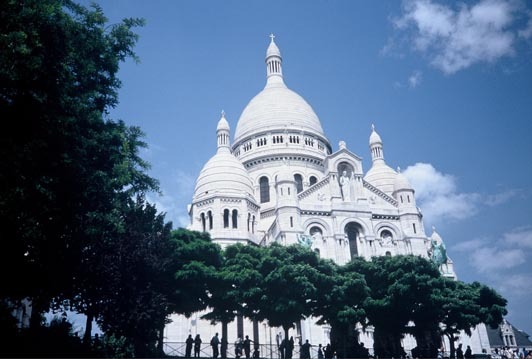 Amadeus has been hosting a weekly show for foodies and culinary professionals called Southern Passion Lounge on Blog Talk Radio for the past two years and is planning a culinary excursion to Paris in September 2013. Entrée to Black Paris will organize the activities for the trip, including gourmet walks, market tours, cooking classes, and more! Southern Passion Lounge in Paris will air every 3rd Thursday of the month from 1-2 PM EST / 7-8 PM Paris time. Click here to listen to the first broadcast. December 2013 - We have new e-books in the works!